At this point movies that take place entirely on computer screens are nothing new. We've had a few of them, mostly horrors, and for the most part they've all been terrible. But it's not necessarily the presentation that doomed them to fail; it's the lack of a compelling story that makes staring at a computer window for two hours worth it. Might as well stay at your work desk if that's the case. 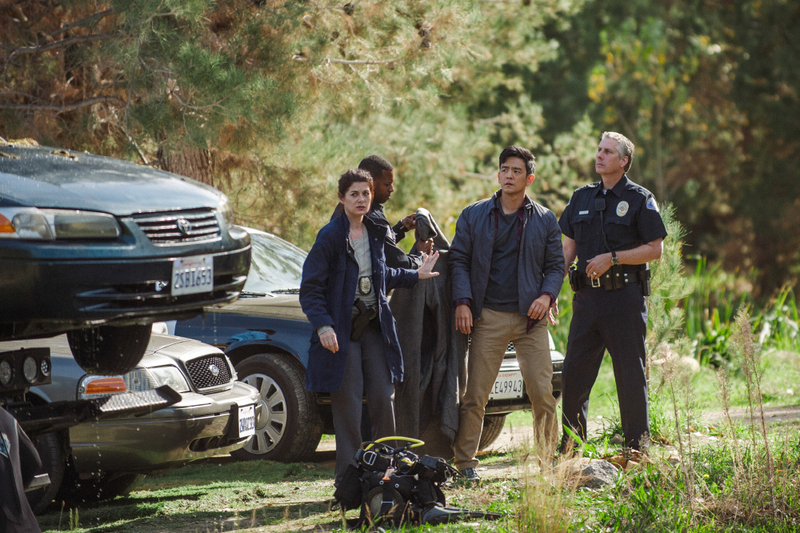 Fortunately, this isn't a problem for Searching, the much buzzed-about thriller that marks the directorial debut by Aneesh Chaganty, who impressively uses the technology we're familiar with to craft a mystery that will leave you on the edge of your seat. 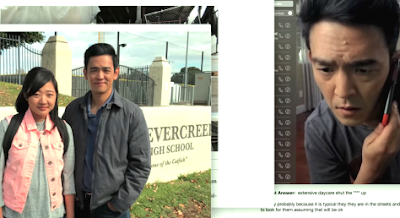 Chaganty doesn't just see the technology as a gimmick, but a useful cinematic tool integral to connecting us with the central whodunit the same way so many of us are connected to our Facebook accounts. It starts right from the beginning with a tear-jerking video montage, taking us through the life of Margot Kim (Michelle La), as she grows up with her parents David (John Cho) and Pamela (Sarah Sohn). We see the happy times, the first day of school, cooking dinner in the kitchen, but also the heartbreak of Pamela's cancer diagnosis and eventual death, seen through missed Google calendar appointments and heard through increasingly somber music. The power of technology has kept Margot and David connected over the years, but tragedy has a way of driving an emotional wedge between survivors, and it's interesting to see how Chaganty pits these competing forces against one another. David's work requires him to be online at the computer all of the time, but it's also how he keeps tabs on Margot through frequent video chat conversations. He's a bit of a helicopter dad, constantly hovering over her and keeping in close contact whether she wants it or not. When he suddenly stops hearing from her, after a night that she made an unanswered call to him at an odd hour, it gets his attention. When David realizes she left her all-important laptop at home, he gets scared. More clues start to pile up that something has gone terribly wrong; a missed piano lesson, a mysterious cash withdrawal from the bank. 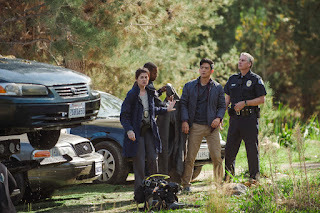 A call is made to the police, where it's answered by dogged detective Rosemary (Debra Messing, in an oddly buttoned-up role for her) who jumps right into the case with both feet. She promises to get David answers, and he promises to help by digging through her social media history to uncover just who his daughter really was. Searching is a clever title in that it has multiple meanings. Of course there's the crime procedural aspect of investigating a missing persons case, but there's also David's search for meaning into his own daughter. Chaganty chronicles David's search through numerous conversations with the people on Margot's various friend lists and address books, his desperation growing as it becomes clear how little he actually knows about his own child. As he uses inventive tactics to backdoor his way into Margot's accounts, tactics I'm afraid some enterprising social media trolls will probably use if they aren't already, David begins to doubt whether his initial instincts about what happened are correct. Never ones to keep us bored with endless chat windows, Chaganty and co-writer Sev Ohanian even find ways to take us away from David's desk through the most intense Google Maps screens you've probably ever seen. As this puzzler unfolds every one of those windows littering David's monitor becomes a clue that you're trying to fit into a whole. 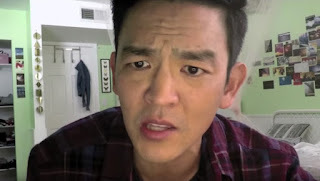 While the case has enough twists to keep us guessing and one Hell of a shock ending, it's John Cho's performance that is the glue holding this together. He's pretty much in every single frame and we're with him through each gut-wrenching reveal, the toughest being that moment when David discovers there's so much that he didn't know about Margot's life. The high level of tension isn't sustainable all the way through, but so much of Searching will have you riveted that it's a tiny glitch in a well-constructed machine.